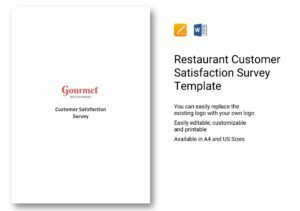 This Restaurant Customer Satisfaction Survey is helpful to gather data about customer preferences and might be of great help for working on a new restaurant business plan or bringing useful and profitable changes in existing restaurant services. Thank you for taking the time to complete this survey; We are students of MBA program. We are conducting this research on Restaurant Customer Satisfaction Survey to complete our academic exercise. Our Restaurant Customer Satisfaction Survey research is based on restaurants to investigate the reasons that why more people are attracted to restaurants while having meals, moreover why every new restaurant weather be a multinational or local is trying to open its chain? We are trying to find out the key contributing factors of this problem by this particular research. 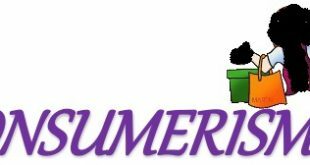 Your contribution by providing precious information regarding that specific research will be highly appreciate, it will really help in contribution to food industry in order to know the customer preferences. This Restaurant Customer Satisfaction Survey research will also be very useful for you and after finding specific results of the research, restaurants may change their offerings according to customer preferences and you can enjoy their quality Services. The information given by you will only be used for this research and will remain as highly confidential. The results of this specific research will be provided to you through e-mail if you are willing to know about the findings. Which is your favorite restaurant and why? Name 3 restaurants which you visit frequently. Is there any specific time you prefer to visit the restaurant? If yes, what are the reasons? Do you think restaurants that you dine at, live up to your expectations? If YES, then how and if NO, then why. If you are not happy about the quality of food served at the restaurant what would you do? How often do you visit a restaurant each month? Who do you usually go with when you dine at a restaurant? How much money do you spend on an average in a month dining out? Please rank your main reasons for selecting a restaurant in order of importance, as 8 is most preferred and 1 is least preferred. What would you say is the biggest challenge for eating in a restaurant? When you visit the restaurant what is the first thing you look for? How important is the price factor for you? Do you prefer restaurants which have the service of Take-away or Dine in? Do you prefer self service restaurants (e.g. buffets) or waiter/waitress service restaurants? Do special offers on meals and prices attract you to a restaurant? Please rate the following services, from 1 to 5. Rate the following variables by marking tick according to the satisfaction level (where 4 is the highest and 1 is the lowest). Please indicate your monthly salary. If you are interested to know the findings of this research, or you want to be a part of our long-term study that will be concluded later, please provide your information otherwise ignore it. I am an Senior High Student from the Philippines, conducting a research about the Effects of Ambience to Customers’s Satisfaction. May we have your permission to use your questionnaire here in the Philippines? Thankyou and Godbless. Yes you can use it in your references. Also dont forget to mention our name in your references. Do you have any questionnaires that also same with this one? 🙁 or other questionnaires that is related to this one .. Right now we have only these questionnaires for you. Please stay updated with our website for more quality papers , researches and much more…. I’m David, a Senior High School student from the Philippines. Right now, we are conducting a research about food businesses and its effects on our local municipality’s business growth. May we have your permission to use/adopt this questionnaire? It would be a huge help for us. Thank you. You have the full right to use this questionnaire for your research paper.